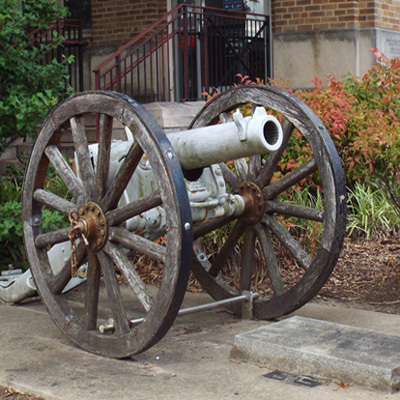 The Krupp Mountain Gun is a small howitzer made by the Fried. Krupp Company in Essen, Germany. This weapon was of a type most likely manufactured in the late 1890’s. This particular weapon shows signs of multiple coats of gray paint from previous restorations and the wooden wheels are showing signs of deterioration. Two markers, one granite and one metal, attest to previous restorations of the howitzer. Howitzer manufacturer plate: FRIED. KRUPP / ESSEN A/R. NO20. Mountain guns were artillery pieces designed for use in mountain warfare and areas where usual wheeled transport was not possible. They were generally capable of being broken down into smaller loads for transport by pack animals or humans. 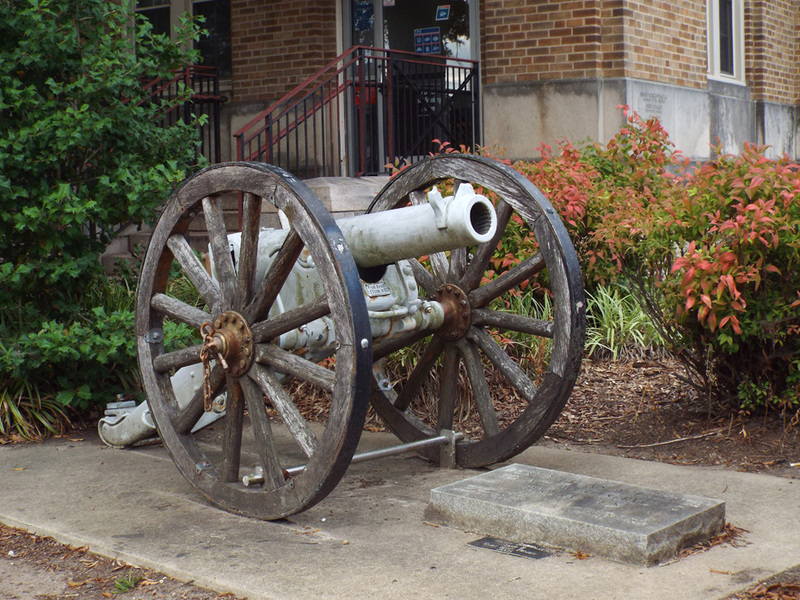 The howitzer is located at the corner of West Main Street and South York Street, near a side entrance to the main Gastonia Post Office downtown. The post office address is 301 W. Main Street, Gastonia, NC. The Krupp mountain gun stands on the lawn, surrounded by bushes.